This is a very retro very ice-bucket with national colors. Blue and white pattern is very national flavor. In order to meet the needs of our customers, we specially designed a very low MOQ, which is to meet everyone's promotional business. It maintains the drinking temperature of your wine for up to 1 hour. Easily fits in your freezer. Comes with a built-in aerator/pourer for better taste and smoother pouring. It only takes 5-10 minutes to chill your wine. Looking for ideal Unique Plastic Ice Bucket Series Manufacturer & supplier ? We have a wide selection at great prices to help you get creative. All the Excellent Material Plastic Ice Bucket are quality guaranteed. 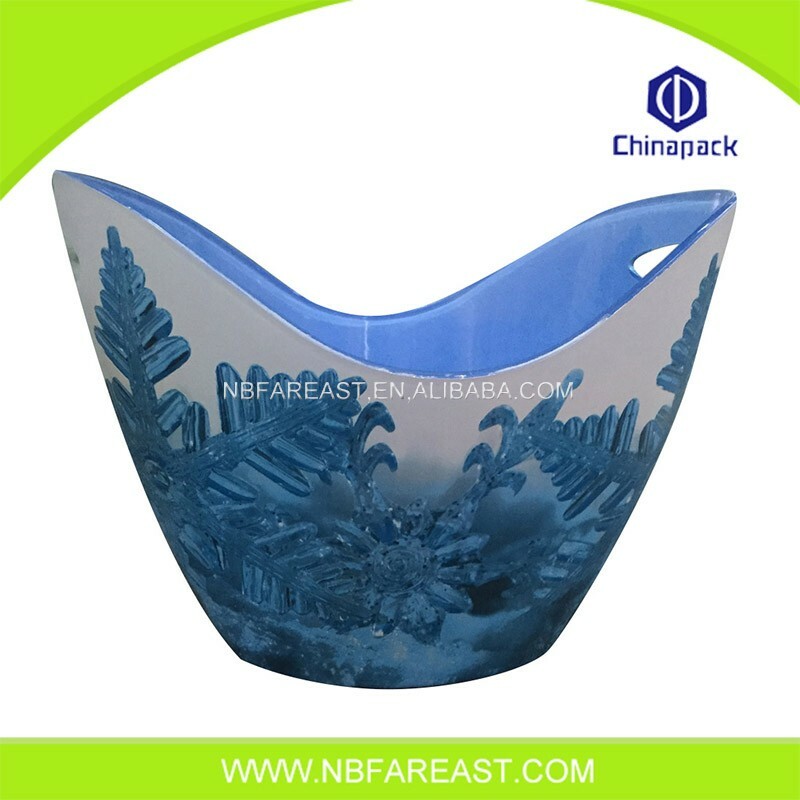 We are China Origin Factory of Excellent Quality Unique Plastic Ice Bucket. If you have any question, please feel free to contact us.